I am so ready for the weekend, it’s not even funny! This week has been somewhat LONG and it usually is for the weekend when I travel so technically I should be used to it but I’m not. I’m over the moon not only because I get to travel to see Mr. Punch but also because it’s thanksgiving in Canada and that means it’s a long weekend for me. So all roads lead to a happy Gee and I hope it does for you too. Anyhu! Excitement for today is another fashion blogger’s wedding look. Can you tell this feature is getting to be my most excited feature? Here is Katie form Katie’s Kronicles in her Wedding look. I thought it was super awesome Katie was just heading or a wedding only a few days before I came in contact with her. Another cool bit is that this is the very first Beach Wedding look and I hope you all enjoy it. Totally random but doesn’t this first photo of Katie make her look like Blake Lively (Serena in Gossip Girl)? If not, humor me and just agree, I totally think so! See more of Katie in her Wedding Look below. About Katie: My name is Katie and I blog over at Katie’s Kronicles. I am a recent fashion graduate from Florida State University. I am so glad to be featured on EWAM with my latest wedding look. This was my first beach wedding and I knew I wanted to be comfortable more than anything. At first I had a short hot pink dress to wear, but was afraid the material might be to heavy. It’s still reaching 90 everyday here in Florida. 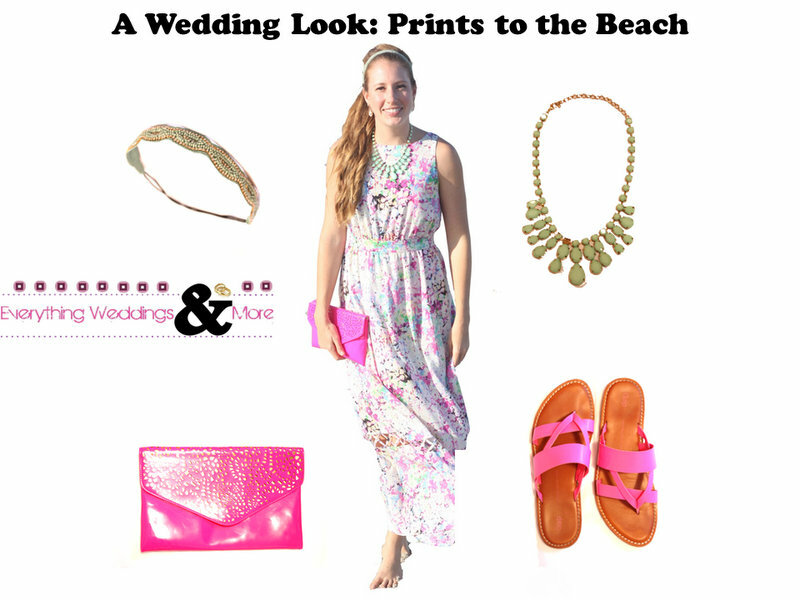 I knew the moment I saw this Gianni Bini dress on sale at Dillard’s for only $30, it fit exactly what I was envisioning for the perfect beach wedding look. Besides fashion and style, I love exercising, baking, designing, being crafty and serving God in everything I do! Do you love to dress up? Want to share your Wedding Look, blogger or not, I’d absolutely love to share your style with my readers so send it over! Have a blessed weekend loves! Would catch up with you all on Monday!